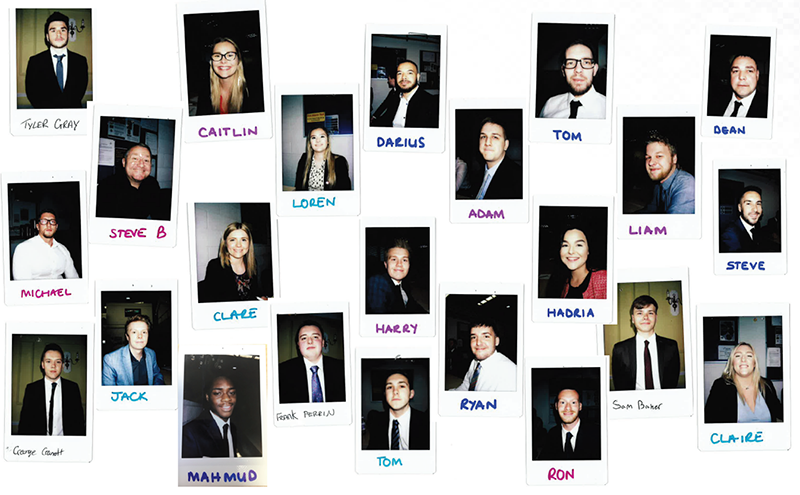 As part of the September start date for the management trainee programme, Fortem have welcomed 21 new faces into their business. The new trainees undertook a week long Corporate Induction ready to start their first placements last week. Their management trainee schemes will take place over a two, three or four year programme depending on whether the trainees have joined as a school leaver or a graduate. They will travel around the different departments and branches of Fortem to experience different disciplines, and get the best possible understanding of what Fortem do as a business. The trainees also get the option to be a specialist, where they will spend the majority of the time in one business function, or a generalist, where they will spend six month periods across different business functions. When they finish their traineeship they will graduate from the programme and join the business in the area they want to pursue their career in. The induction covered all aspects of Fortem including meeting the board, team building, presentations from existing and graduated trainees, understanding what Fortem gives back to the community and finally most importantly a taster session from the people at the heart of Fortem's business, the tradespeople. Trainees undertook some plumbing, plastering and lock-smithing. The first week went well for the new management trainees and Fortem wish them all good luck on their first placements, and hope they enjoy their whole experience on the programme.